Abstract - Different devices used in day-to-day life demand different voltage levels for their proper working. To fulfill these voltage requirements, circuits need to be designed which can convert available voltage levels into desired ones. In this project, we propose a DC boost circuit using 555 timer. The circuit amplifies the input voltage levels to required voltage level by adjusting the gain. This is achieved by using suitable component values. Index Terms -DC boost; 555 timer. DC boost circuit has applications in many electronic devices requiring voltage amplification. The circuit enhances the DC level of voltage supply thereby enabling the user to have two different voltage levels. Depending on the values of the internal components used, the same circuit can be designed for attenuation as well as amplification of voltage levels. The DC boost circuit takes a pulse input as provided by the 555 timer IC (0V-5V) in astable mode and produces the amplified pulse at the output. The proposed DC boost circuit is designed using 555 timer IC in astable mode and operational amplifier in non-inverting mode. The 555 timer IC generates an output pulse (0V-5V) which is given as an input to the operational amplifier. The operational amplifier works in the non-inverting mode and produces an amplified output pulse without introducing any phase shift. 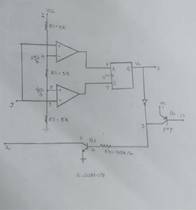 Pin2 : Trigger : This pin is connected to the negative input of comparator 2. Pin3: Output : Load is connected at this pin. It can be used as source or sink and can drive upto 200mA current. Pin 4: Reset : This is active low pin connected to the master reset of flip-flop in timer chip. It is normally connected to Vcc for preventing accidental reset. Pin 5: Control Voltage : Voltage provided at this pin can control the pulse width of the output irrespective of the RC network. It is grounded through a capacitance to avoid noise. Pin 6: Threshold : Voltage at this pin determines when to reset the flip-flop. Pin 7: Discharge : This pin is drawn from the open collector of transistor. Whenever output pin goes low, the discharge pin is pulled to ground and the capacitor discharges. Pin 8: Vcc. Transistor will be off. Capacitor charges through Ra and Rb. 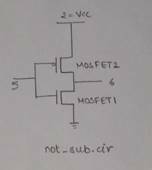 2)Vcc/3 <Vc < 2Vcc/3 : R=0 , S=0, Output of flip-flop remains in the previous state .So transistor will be off. Capacitor continues to charge through Ra and Rb. Transistor will be on. Capacitor discharges through Rb. Operational amplifier is a three terminal device with two inputs as inverting, non-inverting and a single ended output. It is used for ideal DC amplification. It works in two configurations namely inverting and non-inverting. In this project op-amp is used in its non-inverting mode, where the input is given to non-inverting terminal of op-amp. As seen from above equation, gain can be varied by changing the values of R2 and R1. The following sub-circuits have been used in designing the DC Boost circuit. 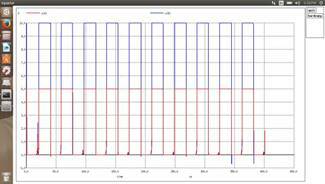 The following waveforms were obtained as the output of 555 timer and DC Boost circuit. 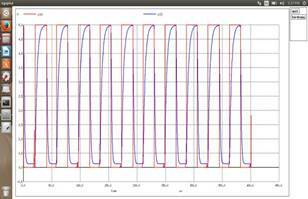 DC boost circuit was implemented using 555 timer and op-amp in non-inverting configuration. The threshold and trigger pins are shorted in astable mode.The frequency of output pulse of 555 timer can be varied by changing the values of resistances connected between Vcc and Discharge Pin, Discharge and Threshold pin and the capacitor between threshold and ground. The output of 555 timer (0V-5V) was amplified using appropriate values of resistors connected to op-amp (R1 and R2). Thus a simplified DC boost circuit was implemented.